Nice house to finish renovating in the countryside. Allier is the most prosperous of all the departments in Auvergne, with relatively good weather to boot. It is also in parts the flattest, the countryside consisting of meadows, forests, 5,000 kilometres of rivers and 1,000 lakes (many with beaches and sports available) as well as small, vibrant, market towns. There are more than 500 chateaux in Allier, many of which are open to the public, and the department is also home to the largest oak plantation in Europe, the Forêt de Tronçais. The economy tends to revolve around agriculture and tourism, with revenue from tourism increasing each year. Allier's spa towns are worth a visit, and include Bourbon l'Archambault with its ruined castle, found in the centre of the department. The area is popular with golfers and it is also relatively close to the ski slopes of Puy de Dome, as well as having the Montagne Bourbonnaise, with its 55 kilometres of cross country ski runs and the downhill station of Loge des Gardes, at an altitude of 1,287 metres. The spacious and charming departmental capital is Moulins. 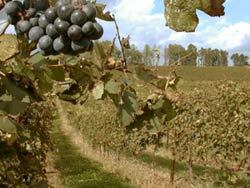 This is the best place to go to experience the culture of the historical Bourbonnais area. The Dukes of Bourbon held great sway in medieval and renaissance times as can be seen by the extravagant architecture of the buildings they commissioned. The town's cathedral has a vast display of fantastic stained glass windows. The stigma of having been the seat of France's war time government no longer overshadows the town of Vichy. This is a popular and prosperous spa town which dates back to Roman times. Today, it is also packed with a wide variety of entertainment and shopping facilities, whilst managing to retain its peaceful atmosphere. When you've finished relaxing in the spa baths you can head to the serene and immaculate parks alongside the River Allier, which hosts many water based events. Montlucon has long been regarded as the area's economic driving force. The city is located in a valley amongst the Combraille hills. Spectacular views of the whole area can be seen from the castle that once belonged to the Dukes of Bourbon. 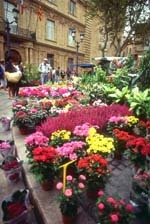 The city's magnificent medieval old town is always decorated with a colourful array of flowers. France has an annual award for the city that is best decorated with flowers and, needless to say, Montlucon consistently scoops the award. If you'd like to pick up some flowers of your own you are best advised to head to the flower market in the Passage du Doyenne on a Saturday morning. The nearest airports are Tours, Limoges and Lyon, with regular direct flights to and from the UK. Clermont Ferrand also has an airport, currently with seasonal direct flights to and from the UK, operated by Flybe. If you'd rather travel by land then there is the TGV service (via Paris) as well as the ferry and car option (approximately five to six-hour drive from Calais and Le Havre). The Allier department is home to some very affordable properties. However, it is only just beginning to arouse interest from Parisian and international buyers. Do you know Allier better than we do? Do you have photos of Allier? The Allier department is at the very top of the Auvergne region.